There are 3 cat videos tagged with laser-pointer. Nobody has ever seen a bowling ball taking curves like this. Yeah it is true it takes strange curves and even jumps too because it is a cat, not a ball! 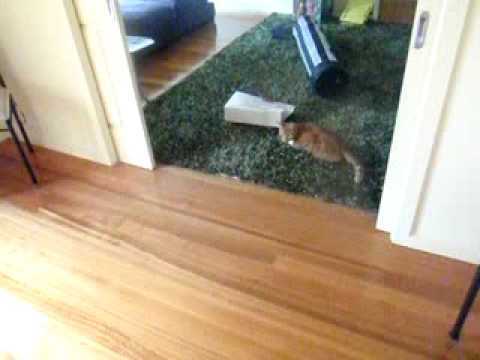 This cat chases the laser pointer and slides in for a perfect strike! This cat owner had a brilliant idea of how to get their cat to be active with no hands! They attached a laser pointer to the kitty's head and let him go wild! The cat is pretty confused about where the dreaded red dot is coming from and tries its best to get the beast. Nobody has ever seen a bowling ball taking curves like this. Yeah it is true it takes strange curves and even jumps too because it is a cat, not a ball! 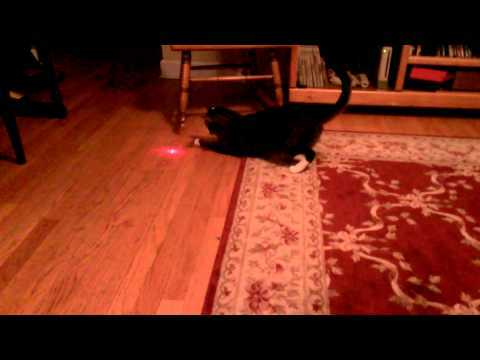 This cat chases the laser pointer and slides in for a perfect strike! 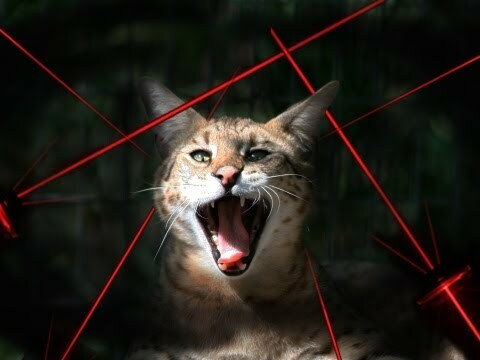 Do Tigers, Leopards & Lions chase laser pointers like domestic cats? Big Cat Rescue decided to find out!